There will be an introductory workshop at the start of the day, so everyone is welcome – no experience needed! We will also enjoy a shared lunch. 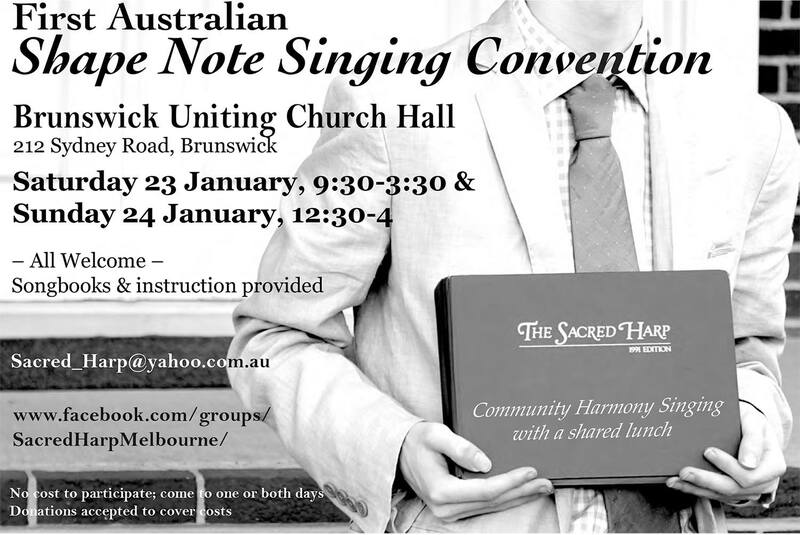 The first Australian Sacred Harp Convention will be held on the Australia Day weekend in Melbourne. Our first ever multi-day Convention will bring together singers from around Australia and, we hope, the world! Start planning (and saving) now to join us in January 2016. Shawn Whelan and Natalie Simms sacred_harp@yahoo.com.au.